In 1981 Oldsmobile gave a complimentary tape cartridge with every vehicle featuring Willie Nelson, Linda Ronstadt, Kenny Rogers, Bob Seger and more. Often found in thrift stores this tape is almost worthless. 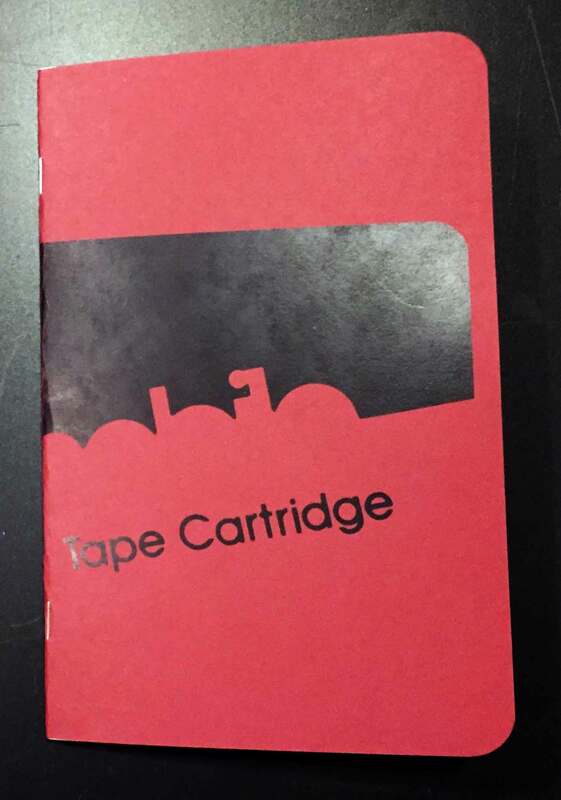 "Tape Cartridge" as a zine takes a design element of the complimentary cassette and plays with it generating new compositions from the tape.